Sometimes, when you’re lined up against your competitors, it is better to stand out for being “boring” — but credible. Credibility is important in all areas of life, not just for marketing a brand. Even in law enforcement, where truth prevails as a fundamental principle, first impressions still count. Ask any lawyer how important first impressions are to a jury and how an “accused” should dress for a lineup or trial. I’m a big Porsche fan. All of their cars are superb (my opinion). Their brand stands for something. Yesterday, however, I read a story in CAA magazine, claiming the Porsche 918 (costing a cool $1.1 million dollars), has a top speed of 340 km/h and HP at a dizzying 887. These claims I believed, because Porsche stands for unstoppable speed. Here’s the catch. They claimed 3.1 l/100km (that’s a cool 91 miles per gallon for my brothers and sisters south of the border). If Toyota claimed that number, I’d tend to believe; they’re known for economy. Porsche? Not so much. 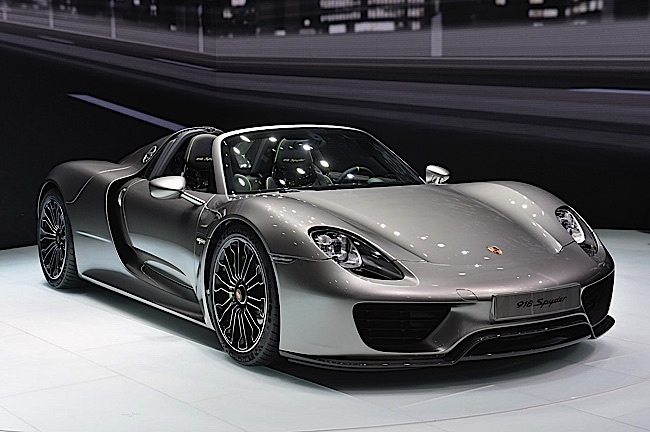 In CAA magazine, the Porsche 918 is specified as 887 hp, with fuel mileage less than a Toyota Prius. Porsche claiming speed is credible; Porsche claiming fuel economy strains credibility — even though it may be factually true. A super car that can do 0 to 100km (60mph) in 2.8 seconds that uses less gas (by far) than a Toyota Prius? Forget that I can’t afford the $1.1 million. It’s seems flat-out silly. How about 0 to 200 km in 7.2 seconds. All, while sipping gas like an economy hybrid? I’ll take Porsche at it’s word by virtue of their sterling brand reputation — for most things. But I still doubt the claim of 91 mpg. Really? That’s science fiction territory isn’t it? While it may be empirically factual and provable, the initial reaction is “Wow! But I don’t believe that.” Fortunately, with a mature brand like Porsche their audiences tend to give them the benefit of the doubt. Below is a chapter excerpt from The Persona Principle book. When first published in the 1990s this chapter was widely excerpted because of its challenging notion that credibility in marketing has more value than truth. It is no less valid today, than when we first wrote these words two decades ago. Arguably, it’s more important, as each niche crowds with more and more competitors, with complex and nuanced offerings that are difficult to communicate quickly. The Credibility Factor: Your persona must be believable and based on values with which your target audience can empathize. Truth is an important requirement, but the credibility of your truth is more important. Your persona must in every way seem believable. Many ventures have failed because their message seemed incredible—even though it was completely true. You will have no opportunity to explain why your incredible persona is the truth. We advocate Reverse-Imaging whenever your credentials or expertise are so good no one will believe them. Reverse-Imaging is softening and weakening your incredible image, instead of boasting about your strengths. Significantly, the persona must strike a chord of direct empathy with the target audience. The notion of “too good to be true” has undermined many major advertising campaigns. Your truth must be credible. It doesn’t matter if you can prove it. You are rarely given the opportunity to offer proof once your incredible claim is exposed to your audience. Many of our clients have credentials that are too good. We know our clients’ claims are truthful, but in most cases, we doubt that their audience will believe them. Cynicism is a normal human reaction to bold claims and innovations. You have limited opportunity to capture the audience’s attention and then convince them of your claim. Regardless of what media you use to promote your image, you have seconds, not minutes, to sell your claim. Unless you can confidently and conclusively prove your claim in five words or less, you have no hope of gaining credibility. It is usually impossible to gain credibility when you are making bold claims. The same is true of clever claims. Smart or overly cheeky headlines and ad styles often destroy credibility, thereby damaging Image-Equity. My offer is extremely credible and dull = use clever, witty, and exciting personas — you can’t be too exciting, go all out. My offer is true, but my claim is hard to prove = use careful and credible personas — keep it professional and simple and clean. Don’t vary far from these basic formulas. They apply to any industry. Don’t let your ad agency or your marketing manager talk you into that award-winning, excruciatingly clever campaign if it will destroy your credibility. Only one type of venture can benefit from clever and exciting campaigns: those with credible messages and dull images. You can use a more exciting message if you can easily prove your claim. Otherwise, let the facts shine through with cautious persona structures. 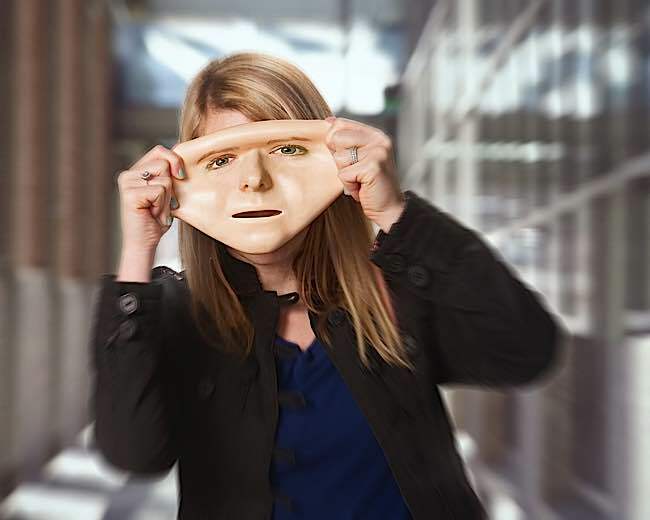 In psychological terms, Personas are the “masks” we wear publicly. In marketing, these masks are important. It is easier to convince an audience with a carefully constructed public image that reinforces your credibility. There are many great advertising campaigns—many of them top award winners—that just don’t work. This is because they are brilliant, clever, beautiful, well crafted—and totally inappropriate for the company being advertised. If your agency doesn’t take considerable time to research you and your clients, it should be immediately dismissed. Both your agency and your internal marketing staff must address your audience, understand your offering, reach your audience, and captivate. This means they can’t just produce high-impact advertising. They must produce credible, memorable, appropriate-impact advertising. Image is Persona Factor 1, and impact is a major component of the image mix. But Credibility is Factor 2 and equally important. Don’t settle for only part of the formula. Truth is far less important than credibility, because you have only seconds to prove your case. Your more extraordinary claims—the true claims that are harder to prove quickly—must “dazzle gradually” to help build your credibility. Credibility is the second-most-important element in building a persona, after image. First, you must be noticed (image), then you must be believed (credibility). Without credibility, the most clever of images is worthless. If you can’t prove your claim in fewer than five words — at the very most ten words — (see the exercise in Factor 3, the Custom Factor), modify your claim so that it can be easily proven. If you like your ads and image very much, you should doubt that your audience does. It is rare that the principals of a venture also represent the target audience. In any case, the principals always view their business through rose-colored glasses. (Editors note: It’s fun to see what we thought was a “fast” processor in 1994). Instead of using descriptions, try using facts in your headlines and ads. Instead of “the fastest computer processor available,” for example, try “a clock speed of 120mhz means you’ll never watch the clock.” Or, if you think the audience won’t accept even this level of cleverness, try just stating cold facts, period. Avoid words such as best, only, first, top, lowest price guaranteed, superb, excellent, magnificent, wonderful, can’t be beat, super, super low, and other such unbelievable and valueless descriptions. Insist on knowing the background, research, and rationale for any marketing your consultants or agencies create and how it was tested. One valuable method of working on the credibility of your brand is known as PCI, or Persona Credibility Index. You rate your propositions (after being forced to really consider what they actually are) on a fixed scale to precise definitions and parameters. Then, you do the same for your five key competitors. You’ll be surprised how much you learn and how quickly a plan of action can form from this valuable insight. Our next blog post will contain a simplified version of this index. Watch for next week’s post.